I love Egg McMuffins. If the world was perfect (and I could eat wheat without turning into a Goodyear blimp) I’d probably find a reason to eat one McMuffin a week. Unfortunately, I live in Jamieland where unicorns make bacony sprinkles, where zombies wear plaid, and where my ankles swell if I lick grass-based food products. Alas, I have to abstain. Even though wheat is not typically my friend, I decided I couldn’t be fully without the sausage-egg-cheesy fabulosity that is the terrific, triumphant breakfast sandwich, and so set upon my own culinary adventures to recreate something–anything–that would allow me my fix of the three ingredients I miss most as a group. 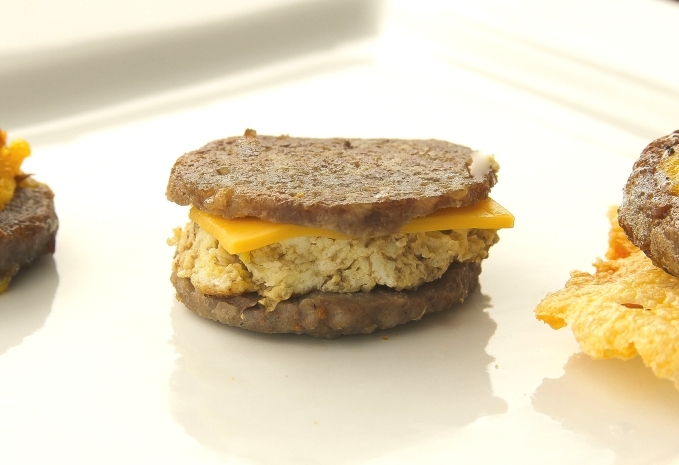 Now with egg, sausage, and cheese shuffled around, I have three quick, fun, easy ways to present the Egg McMuffin components gluten-free, and with little effort. These recipes share how to make one of each item, but since sausage patties tend to come in packages, feel free to make as many as you wish. Make some of these ahead, but remember– they are best served hot. These breakfasts each contain the addition of butter for cooking. 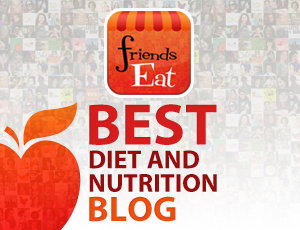 You can elect to cook in olive oil, coconut oil, sausage fats, or in a non-stick pan sans fat. If you delete the butter for cooking, also remove 102 calories, 11.5 grams of fat, and .1 grams of protein from your nutritional values. These recipes are Atkins Induction friendly, less than 5 carbs each, gluten-free and sugar-free. Enjoy these three simple breakfasts with little sizzle. 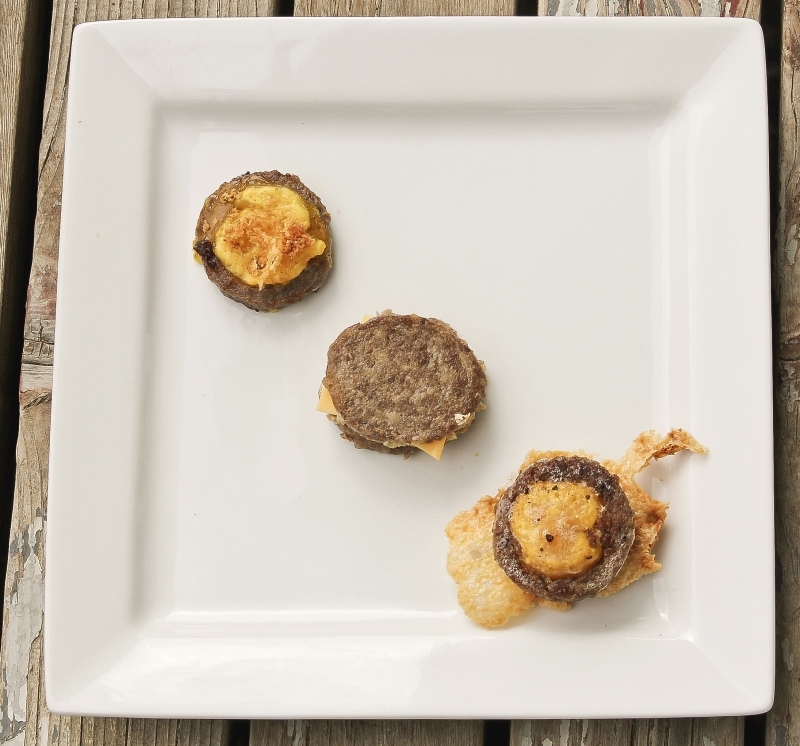 Mini stuffed sausage patties present a fun, single-sized portion for wee appetites and children. Gently remove the center of a cooked sausage patty, leaving at least 1/2″ of the outer edge intact. Over medium heat and in a lightly buttered skillet, pour the beaten egg into the center of the sausage. Cook for 90 seconds. Flip and cook for 90 seconds more, or until the egg is completely cooked. For cheese crumbles: On parchment, cook a slice of American cheese in the microwave on high for one minute. Let cool. Crumble 1/2 over cooked egg/sausage just before serving. And dunking’s what they’ll do. One of these days these eggs are gonna dunk all over you. Gently remove the center of a cooked sausage patty, leaving at least 1/2″ of the outer edge intact. Over medium heat and in a lightly buttered skillet, gently place only the egg yolk into the center of the sausage. Cook for 60 seconds, or until the bottom of the egg has cooked slightly. Flip and cook for 45-60 seconds more, or until the top of the egg has cooked slightly. For dipping cheese wedges: Cut a slice of American cheese diagonally. Cook in the microwave on high heat for one minute. Let cool. 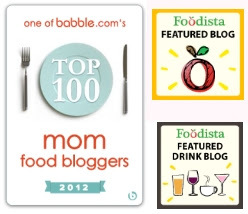 Gluten-free finger food fabulous for busy mornings. Gently slice a piece of cooked sausage in two with a sharp knife, careful not to cut fingers*. Over medium heat and in a lightly buttered skillet, scramble egg until completely cooked. 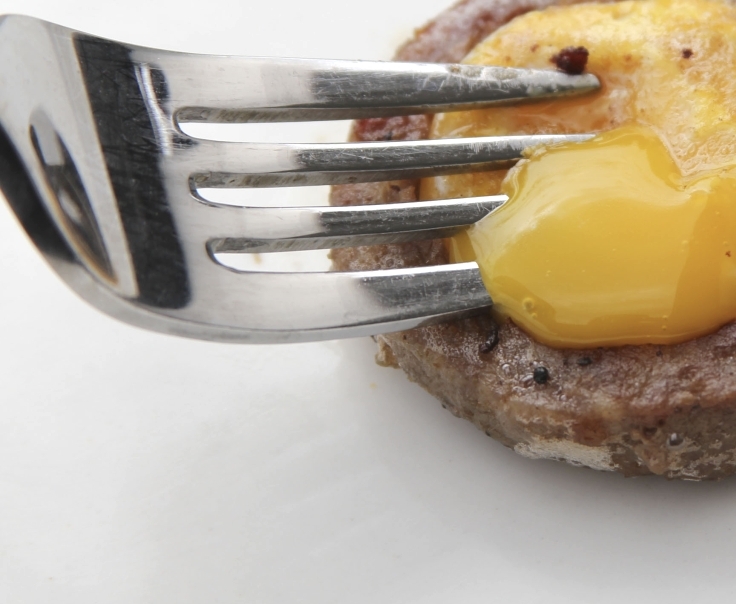 Using a cookie cutter, cut the cooked egg to the size of the sausage. Place on the bottom sausage patty half. Cut a slice of American cheese into fourths and place one quarter on top of the egg. Place the top half of the patty over the cheese, sliced edge down. Serve warm. *To cut one sausage patty into two: After allowing to cool slightly, gently run a sharp knife around the outer side of the patty, gently scoring the meat. As the patty is rotated, the cut becomes deeper and deeper, until finally severing the patty in half, forming two, thin patties. Be careful to not break the patties during cutting; handle the meat gently. I, too am a McMuffin fan! There was a girl working the drive-through one day who gave me the way to order so I wouldn’t have to buy the whole sammie, considering I throw out the muffins. I get an order of scrambled eggs and sub round eggs (of which you get two), add two sausage patties and two slices of cheese. The total of that is half of what they charge for the McMuffin! And there is no waste, which makes me happy! Sweet, no? 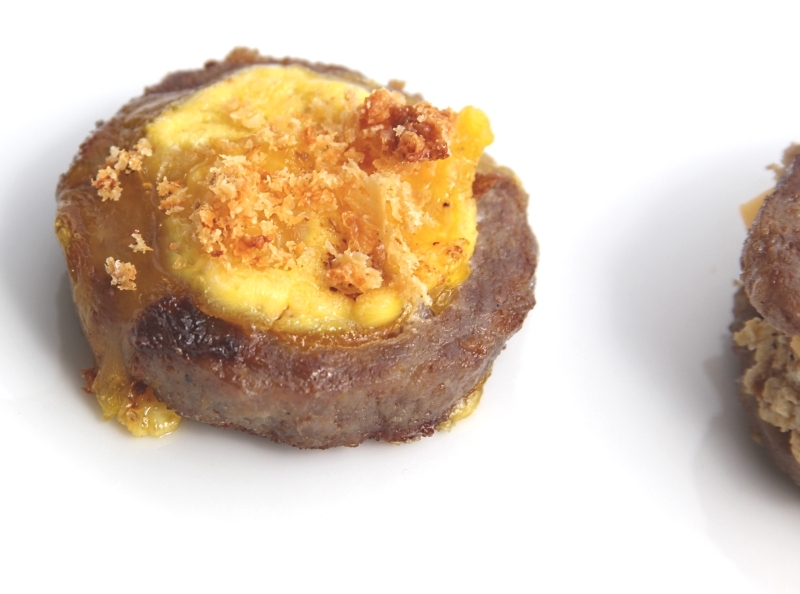 The Alton Brown recipe that I mention below….tastes even better than the McD’s sausage! Very easy to make….and once your brain has memorized the recipe….you can adjust the seasonings every time you prepare the patty! It is so versatile! You will love it! No need to buy something commercial that just does not exist here in Canada! This is a very cool take on sausage, eggs & cheese for breakfast! Thanks. I’m gonna make these for breakfast – or even maybe for dinner one night! I hope you like it! I had a super-fun time with those. Aren’t you Miss Creative today? Oh, wait, that’s ALL THE TIME! How cute! Thank you so much, Jeanette! Alton Brown has a breakfast sausage recipe that is so very easy to make….and delicious…. That I purchase bulk lean ground pork from Costco Canada….and I freeze 5 ounce portions….and make them fresh everyday! The recipe is easy to find….just google Alton Brown/ breakfast sausage. Delicious, delicious and so much more economical than bacon….which in Canada is hitting $6/pound+++!!! Just could not keep an excellent recipe to myself! Who’d a thunk you could rearrange a McMuffin a la Jamie in three different ways. You are just cooking, girl!!! Thank you! Because we in Denmark do not have “patty sausage”, and I actuallty thought it was a sausage in it self. So, thanks to Gladiolia, who linked the recipe. The words can be so confusing. I am glad you have options. Frankly, making your own is always the best bet! I was lazy this week. I have been known to take trips to the dreaded Wal-Mart specifically for their sausage patties. They’re significantly larger than any other brand of patty, and about half the thickness. Most mornings I’ll nuke two of those and put a fried egg in between, or fry up two eggs and put a sausage patty in the middle. With cheese, of course! It’s also great with a side of salsa/sour cream. And thank goodness it takes almost no time at all, or else I’d be scarfing breakfast bars instead!